Location: your phone and computer. Tuesday, November 8, 7 AM-8 PM: Election Day Leafleting vs. TPP: Tell Rep. Rangel to Vote NO TPP! Leafleting: 7:00am-9:00am. Petitioning: 4:00pm-6:00pm, 6:00pm-8:00pm. Call (718) 218-4523 or email info @ gjae . org (no spaces) for details. RSVP to Eric Weltman at 347-778-2743 or eweltman @ fwwatch . org (no spaces) for location info. Coordinator: Food and Water Watch. Location: Adam Clayton Powell State Office Building, 163 W 125th St @ Adam Clayton Powell Blvd, Manhattan. Presenters: Sister Simone Campbell, Laura Peralta-Schulte, and Sister Marge Clark. Host: Network Catholic Social Justice Lobby. Planning call for the NYC Metro area's alliance of grassroots groups from many social movements united to stop TPP! All are welcome. To submit agenda items, email Sally Gellert at sjguu @ aol . com (no spaces). Call number: 712 775-7035� Pin: 678541. Call (718) 218-4523 or email info @ gjae . org (no spaces) to coordinate travel and housing plans. Location: Housing available at First Trinity Lutheran Church � At the corner of 4th and E Sts NW, across from the Judiciary Square Metro. Walking distance from Union Station. Mattresses, showers, kitchen. Wheelchair accessible. Housing Cost:The cost is $27/night, sliding scale (no one turned away). Location: Meet at Freedom Plaza close to City Hall as we will prepare for a march to the Reagan Trade Center to protest TPP. Location: Capitol Hill Neighborhood, Washington, DC. Meet outside Capitol Visitor's Ctr, 1st St at East Capitol St NE, a short walk from Union Station & from the Capitol South Metro station. Location: Your Facebook, Twitter, and/or Tumblr Accounts. Advance signup (required) at http://gjae.org/1115thun. Thursday, November 16, 3-8:30 PM: Spread the Word & Grow the Protest vs. TPP! Location: New York Society for Ethical Culture, 2 West 64th St @ Central Park West, Manhattan. More info: Vincent Brancato at vpbrancato @ gmail .com (no spaces). Sponsor: Ethical Action Committee of the New York Society for Ethical Culture. Presenters: Ana Romero Cano (Red Peruana por una Globalizacion con Equidad), Sarah Stephens (Center for Democracy in the Americas), Alejandro Villasmil (Convergencia #MexicoMejorSinTPP), and David Rosnick (Center for Economic and Policy Research). Location: Jerry H. Labowitz Theatre, 1 Washington Place between Mercer St & Broadway, Manhattan. Host: NACLA Report on the Americas. Details: (240) 235-2010 and visit http://stoptppaction.org � rides may be available. Sponsors: 350.org, Our Revolution, National Nurses United, AFL-CIO, and many more! Protest vs. fur & down. Location: 101 Wooster St (between Prince and Spring Sts), Manhattan. Sponsor: NYC United for Animals. Location: Adam Clayton Powell State Office Building, 163 West 125th Street at Adam Clayton Powell Blvd, Manhattan. 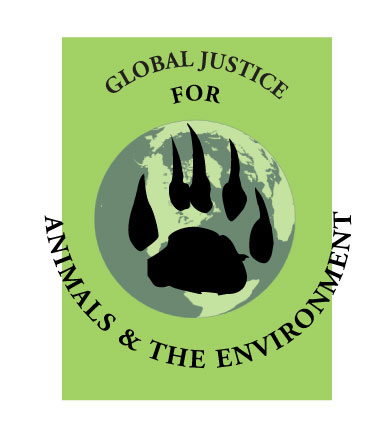 Guest Presenter: Adam Weissman, Global Justice for Animals and the Environment. Wednesday, November 30: Lobby Day vs. TPP & Rock Against TPP DC Concert in Washington, D.C.
Begins around 9AM -- contact us to coordinate travel that morning or the night before. Call (718) 218-4523 or email info @ gjae . org (no spaces). More info on Rock Against the TPP!